Whether you want to fight the common cold or avoid the stomach flu, you require a healthy immune system. While vaccinations, medications, and other treatments can assist your body deal with bacteria and viruses, at the end of the day, your immune system needs to bear the burden of it all. A weak immune system puts you at the risk of contracting diseases and infections easily. Hence, it is important to enhance your immunity to live a disease-free life. The amazing news is, you can do so by taking precautions and opting for a few natural methods to strengthen the functioning of your immune system. Are you questioning how you can do all of this? Continue reading to find out. Immunity is the state of lasting immune from or indifferent to a disease or the like. It is the protection against infectious disease presented by the immune response. It adds the body’s capacity to distinguish foreign material from self and to neutralize, eliminate, or metabolize that which is foreign. When a foreign object enters the body, complex chemical and mechanical actions are set into motion. These methods defend and preserve the body’s cells and tissues. The foreign elements are usually a protein and called an antigen. The most popular answer to the antigen is the production of antibody, a protein synthesized by the immune system that can help neutralize pathogens such as bacteria and viruses. The antigen-antibody reaction is an essential component of the complete immune response. Immunity is the balanced state of the body wherein the human body contains adequate biological defences to fight infection, disorder, or unwanted biological invasion. It is also a condition where the body has sufficient tolerance to avoid allergy and autoimmune diseases. Firstly, you require to understand that there are two types of immunity: Passive Immunity and Active Immunity. Below you can see immunity types and classification. As its name suggests, passive immunity is obtained “passively” from the mother. Immunoglobulins can be transferred from the mother to the fetus through the umbilical cord. In easy terms, the umbilical cord is just the connection within the fetus and mother that gives nutrients and oxygen. Immunoglobulins can also be obtained passively through lactation and breastfeeding. The passage of Immune immunoglobulins then heads to the creation of antibodies which are essential in the immune system response. This is one of the major types of immune system. This is a dynamic method and it is obtained through an infection where the body creates particular immune cells in response to a bacteria or a virus. This can also appear artificially when you get vaccinated. Vaccines experienced weakened forms of viruses or bacteria that cannot produce an infection, but that is enough to stimulate your immune system in order to produce immune cells against it. What Are The Causes Of Low Immune System? Nearly all of them have felt the impacts of stress at some point in your lives. Headaches, pounding chest pains, uneasiness and a total tense feeling are trademarks of stress. These factors all mix to cause the immune system to have to work harder to guard the body against threats to health, at times destroying the immune system to such a point that it is severely compromised. Your body’s immune system will likely not be at its normal if your lifestyle is too settled. As an example of how vital keeping active can be, medical research has shown that regular exercise can assist the functions of neutrophils, which are cell types that work to kill unpopular and sometimes deadly microorganisms that can negatively influence health. You may not understand it, but while you’re sleeping the cells in your blood that fight diseases are working to keep infections at bay. So lack of sleep and fatigue can forget you. Estimates are that poor diet, particularly when combined with lack of exercise, may be effective for killing between 310,000 and 580,000 Indians each year. Indeed, it’s vital to eat a well-balanced combination of foods including fruits, vegetables and whole grain sources that assist support the immune system by giving essential vitamins, minerals, phytochemicals, and antioxidants. Just as important, fatty junk foods should be avoided whenever possible. Fats, especially polyunsaturated fats, tend to suppress the immune system. Also be on the outlook for the consumption of too much sugar, which can restrain phagocytosis, the procedure by which white blood cells work to damage viruses and bacteria. What Are The Signs And Symptoms Of A Weak Immune System? These symptoms may also be due to some other health condition and not necessarily because of a weak immunity. Does Frequent Cold Happens Because Of The Altered Immune System? There are multiple triggering factors which hits on you when you have a low immune system, and a person experiences from the disease. 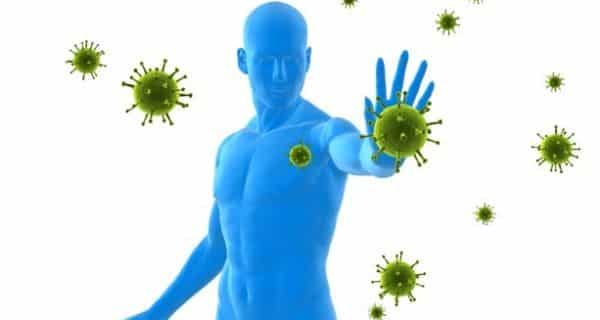 Your immune system is your starting line of protection against foreign bodies like germs and bacteria that can create chronic disorders and sicknesses. Keeping your immune system healthy and balanced is essential for an illness-free lifestyle. Here are a few low immunity signs that are signs of a low immune system. Fatigue is one of the significant symptoms of low immunity. It is a subjective feeling of tiredness, but if you are always feeling exhausted or you get tired quickly, it could be a sign that your immune function isn’t too high. Cortisol level plays an essential role in regulating your immune system, elevated or lowered cortisol hurts your immune system, which leads to fatigue. Some autoimmune diseases also lead to fatigue. One of the most basic low immunity symptoms is an increased sensitivity to infections. You may have conditions that are more common, longer lasting or harder to treat than are the infections of someone with a healthy immune system, this means that your immune system is overwhelmed and can’t fight to invade viruses and bacteria as it should. 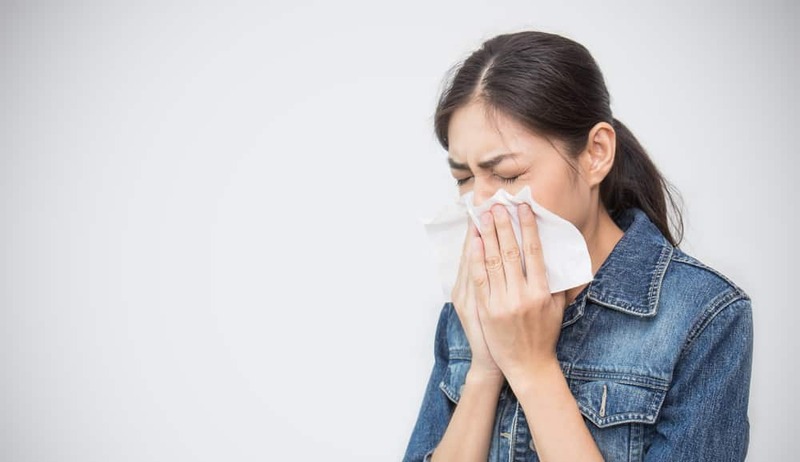 If you happen to catch a cold frequently, are sensitive to cold and have a frequent sore throat, then you are likely to have a weak immune system. The weak immune system does not accept the body to fight against the typical day to day infections such as a cough, cold & sore throat. Allergies occur when your immune system responds abnormally to innocuous substances like dust, mould or pollen. The immune system may exaggerate by producing antibodies that may attack the allergen. If you encounter wheezing, itching, a runny nose, watery or itchy eyes, means your immune system is low and is exaggerating to the allergen. A healthy immune system can greatly increase the body’s ability to recover by decreasing the risk of infection. Your skin is the first line of argument against acquiring viruses and bacteria. If the immune system is low, bacteria, which take over the wound and start to multiply, can affect the skin and the healing phase becomes prolonged. The health of your stomach bacteria and the health of your immune system are vitally connected. 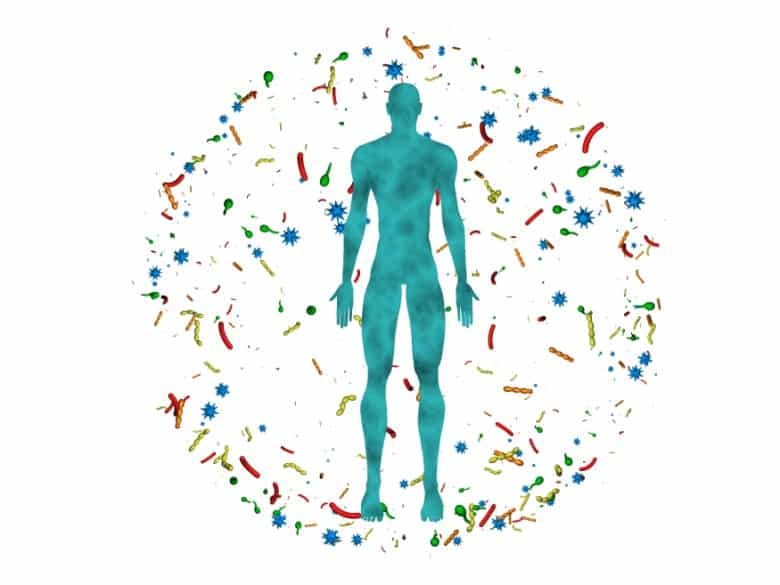 When your gut bacteria are balanced, your immune system is also balanced. But when it’s out of balance, so is your immune system. Food sensitivities are a significant sign and cause of an immune system imbalance. Food, especially undigested protein, looks just like a virus or bacteria and our immune system creates antibodies to fight it. If you experience from digestive difficulties like diarrhoea, stomach infections and nausea on a recurring basis, it’s a symptom that your immune system might be weakened. Bacteria and cells live in your gut that are an essential part of your immune system, so if all is not well, it’s likely that your immunity is not that best either. Anaemia is an ailment where there is a reduction in total red blood cells or haemoglobin or a reduced ability of the blood cells to transport oxygen, and this can happen when the immune system is compromised. The weakened immune system sometimes mixes good red blood cells as foreign bodies and attacks and kills the red blood cells, which can guide to anaemia. The symptoms include feeling tired, weakness, the briefness of breath or a weak capacity to exercise. Hair loss or Alopecia areata is an ailment, which normally attacks the scalp. Alopecia areata affects one or more patches of hair loss. It is an autoimmune disease, in which the immune system is in overdrive and attacks hair follicles, which causes loss of hair. A critical form of this is alopecia areata can also cause loss of eyelashes and also eyebrows. So, if you are missing hair in patches, it is incredibly likely that you have a weak immune system. Out of all the weak immune system signs, joint pain could be a result of immune system imbalance. Few conditions like arthritis (rheumatoid, reactive, psoriatic) are caused when you hold a weak immune system. 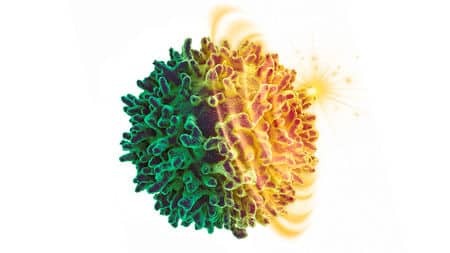 The diminished immune system can trigger autoimmune disorders like rheumatoid arthritis for an unnamed reason, wherein which the immune system invades the muscular tissue causing lasting harm to healthy cells in your body. Symptoms of joint are expanding of the redness, warmth, joint, stiffness, pain and fever. One of the significant causes of mouth ulcers among adults now is stress and stress is one of the substantial low immunity symptoms. If there’s any defect or breakdown of skin on the cheek, lip or tongue and your immune system is low an ulcer is most likely. Your body will give you hints in one way or the other if your immunity is weakening. So, look out for those signs and take the necessary precautions and treatments as required. Did this article help you clear all your concerns? Get in touch with me and tell me in the comment box provided below. This entry was posted in Immune System, Kids Nutrition. Bookmark the permalink. What Are The Immune System Boosting Foods And Its Diet Chart?